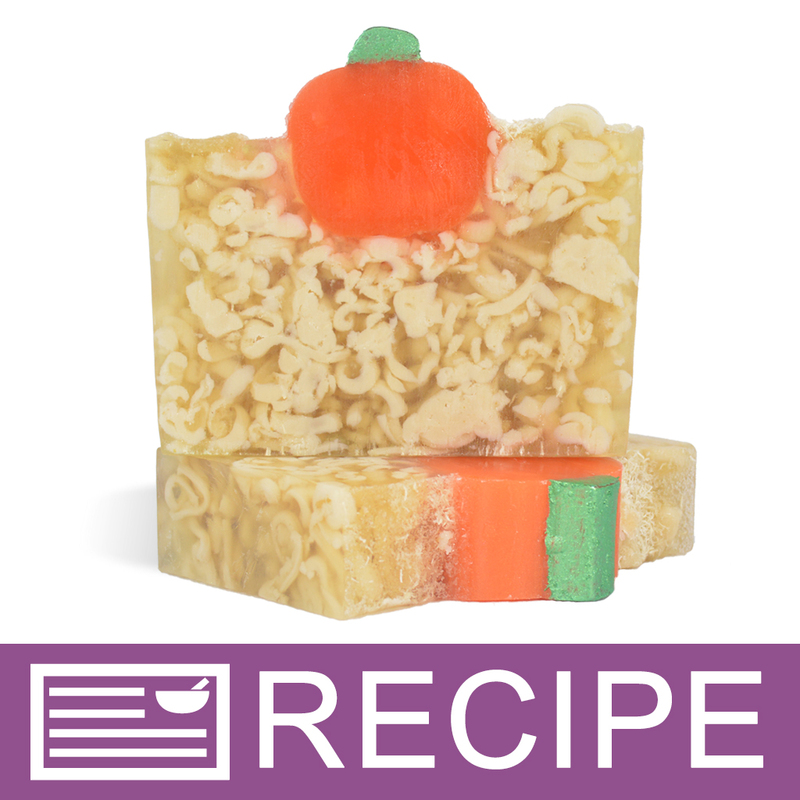 A fall pumpkin hayride was the inspiration behind this soap. The soap is gently exfoliating with both oatmeal and luffa powder. It also includes honey and is scented with a woody pumpkin scent that will bring back memories of haunted hayrides! Sorbitol, Coconut Oil, Propylene Glycol, Stearic Acid, Water, Sodium Hydroxide, Glycerin, Honey, Oatmeal, Fragrance, Luffa, Titanium Dioxide, Mica, Chromium Oxide Green. "I highly recommend this kit!!" COMMENTS: Love this kit. It was simple to make. Takes a little time, but it turns out just like the picture!! Will make again. Thanks!!! • Love the luffah powder in the soap. • Turns out just like pictured. • Nice hard bar of soap.